The experience and concept known as mysticism and its practitioners, mystics, are largely unknown today in The Church of Jesus Christ of Latter-day Saints. What are these, and what relationship might they have with the Gospel and the Restoration, particularly with Joseph Smith and his First Vision? The case is made that they are vital to our communion with God, and our ultimate goal of returning to God. 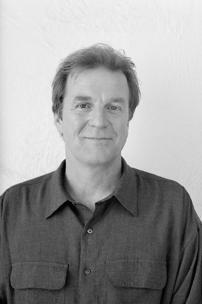 Many perspectives and concepts are discussed including personal experience, neuroscience, psychology, transhumanism, computer science, philosophy, popular culture, history of religions, psychology of religion, and contemplative practices, offering tentative associations and insights with Mormon concepts of spiritual experience, atonement, salvation, exaltation, the Second Comforter, calling and election, and theosis or divinization, becoming like God. Abstract: The experience and concept known as mysticism and its practitioners, mystics, are largely unknown today in The Church of Jesus Christ of Latter-day Saints. What are these, and what relationship might they have with the Gospel and the Restoration, particularly with Joseph Smith and his First Vision? The case is made that they may be vital to our communion with God, and our ultimate goal of returning to God. Many perspectives and concepts are discussed including personal experience, neuroscience, psychology, transhumanism, computer science, philosophy, popular culture, history of religions, psychology of religion, and contemplative practices, offering tentative associations and insights with Mormon concepts of spiritual experience, atonement, salvation, exaltation, the Second Comforter, calling and election, and theosis or divinization, becoming like God. I felt that way for about twenty minutes or so [although it was really 45 minutes to an hour]. I still cannot describe it adequately. As I said, I didn’t feel like “standard Bryce” at all. I felt lifted up to a higher plane, where I could think and see much faster, keener, and with immense expanded use of my brain and faculties. I could perceive like never before. I haven’t ever experienced something quite like that. I have had spiritual experiences before, a burning in the bosom, or thoughts come into my mind, but this was different, or at least more intense. Time has squelched my ability to remember exactly the feeling, but it was far unlike daily experience. That experience was so unusual, and so incredible, that I was determined to find out what it was, but I struggled. In this paper I will introduce what I have discovered in the years since that experience, which for me has opened up a whole new world of understanding and new questions about life including ideas about religion, extraordinary experience, the nature of reality, the Church, Joseph Smith, the First Vision, the Book of Mormon, theosis, and even the nature of God. I hope you will forgive the whirlwind tour as I try to fit some of my newfound perspectives into this short paper. I have drafted a book which explores these ideas in far greater depth that I hope to publish.3 I’ve also begun a new website at ThyMindOMan.com to explore these subjects. In the months that followed that initial experience, I searched eagerly for understanding. What exactly had happened to me? This was brand new territory, and it seemed Big. I came across an article in Sunstone by Mark Koltko-Rivera entitled “Mysticism and Mormonism: An LDS Perspective on Transcendence and Higher Consciousness.”4 This was a turning point for me. In his article Koltko-Rivera describes mystics as those who have experienced “‘higher’ states of consciousness.”5 His descriptions aligned well with my experience, including the intensity of the experience, the sacredness, and the mental clarity. He re-introduced the term mysticism to me, which I had previously misunderstood. I researched it further. 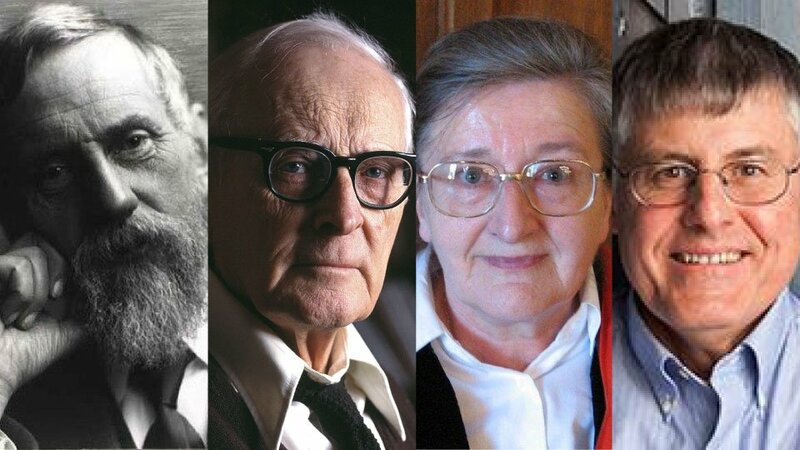 From left to right: Eduard Lehmann, Hugh Nibley, Margaret Barker, and William Hamblin. Quoting the Danish historian Eduard Lehmann, Hugh Nibley defined mysticism as “an intuitive and ecstatic union with the deity obtained by means of contemplation and other mental exercises.”6 Margaret Barker, on the other hand, has defined it more simply as “seeing the Lord.”7 More recently, LDS scholar and historian of mysticism, William Hamblin, has noted the diverse forms of mysticism and has questioned whether there is any “ultimate shared divine reality behind all of this.”8 In contrast to Hamblin, I believe there is—if the same God inspires all humankind, then people’s mystical experiences, if they are truly divine, must be connected and share the same cause in some way.9 As I’ve learned more, I’ve come to believe that the mystics, saints, and monks throughout history may have been experiencing similar transcendent psychological states, within their minds. I soon discovered that these experiences of transcendence seem to be related to a number of different cultural, secular and religious practices, teachings and experiences around the world,11 including peak experience, cosmic consciousness, pure consciousness, enlightenment, awakening, beatific visions, heavenly ascents, out-of-body experiences, salvation, religious ecstasy, transpersonal psychology, Stendhal syndrome,12 liberation, samadhi, satori, kenshō, unitive experience (unio mystica), non-dualism, nirvana, flow, and perhaps even our own Christian-Mormon conceptions of atonement (at-one-ment), transfiguration, the temple, calling and election, the Second Comforter, and theosis. 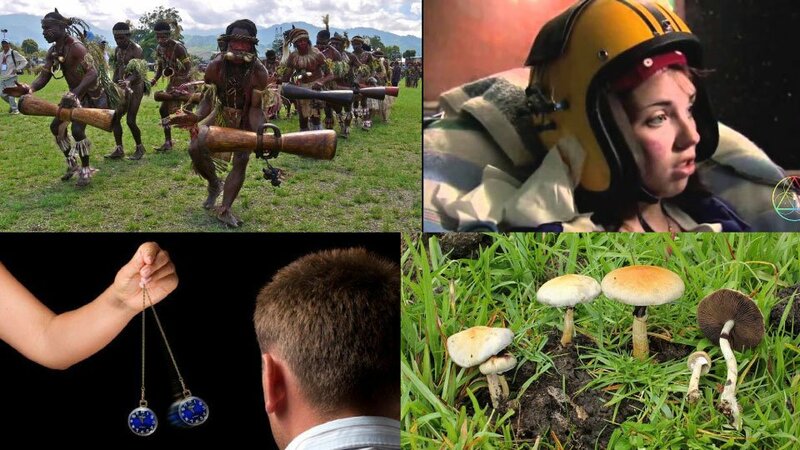 The common denominator among all of these ideas seems to me to be the subjective experience when the human brain changes its ordinary modes of functioning. 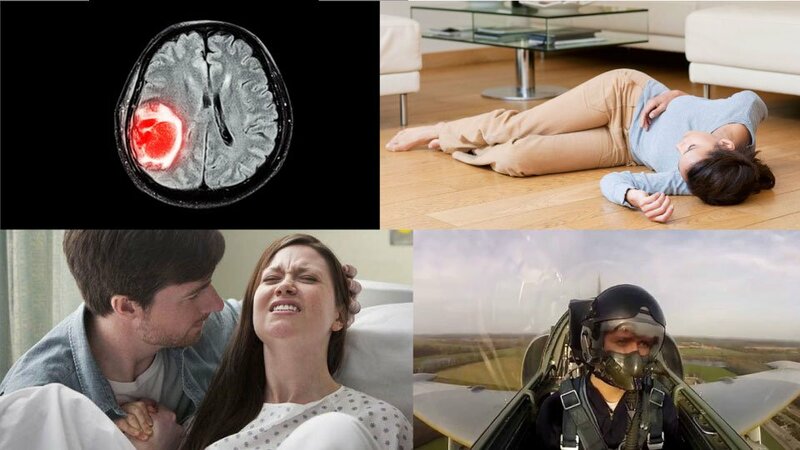 These changes are what neuroscientists and psychologists generally refer to as altered states of consciousness. States of consciousness that we are familiar with are waking, sleeping, dreaming, and perhaps hypnosis, but there seem to be many other states that are less familiar. The experiences that people have when their minds enter non-ordinary states of consciousness result in a variety of subjective intuitions and physiological sensations, on a very broad spectrum, with extremes that include glorious states of blinding white light, ecstasy, exaltation, heaven, and god(s), to the opposite realms of feelings of dying, darkness, exquisite suffering, hell, and demon(s), and these can even all occur in the very same experience. They often do. What causes these shifts in consciousness to these alternate brain states? There seem to be many so-called “triggers,” some which we might call technological “tools of transcendence,” that can make this happen, which all seem to be capable of causing significant changes in brain function—meditation (including the use of meditation objects), hyperventilation, fasting, prayer, contemplation, dancing, action sports, chanting, drumming, pain, trance, concentration, brain stimulation,13 hypnosis, sexual activity, psychoactive substances (i.e. psychedelics), illness, epilepsy,14 stroke, brain tumors, trauma, oxygen deprivation, infection, brain blood loss, fainting, childbirth, g-forces, sleep deprivation, psychosis,15 near death experiences, singing, music, mantras, yoga, exercise, sweating, sensory deprivation, mental stress, exhaustion, and more.16 Some experiences may also seem to be entirely spontaneous, entirely unrelated to any activity that a person is currently doing, but I believe these too have an underlying and perhaps unknown neurological basis and cause as well. Altered states of consciousness, I perceive, must always involve one’s brain in some way. 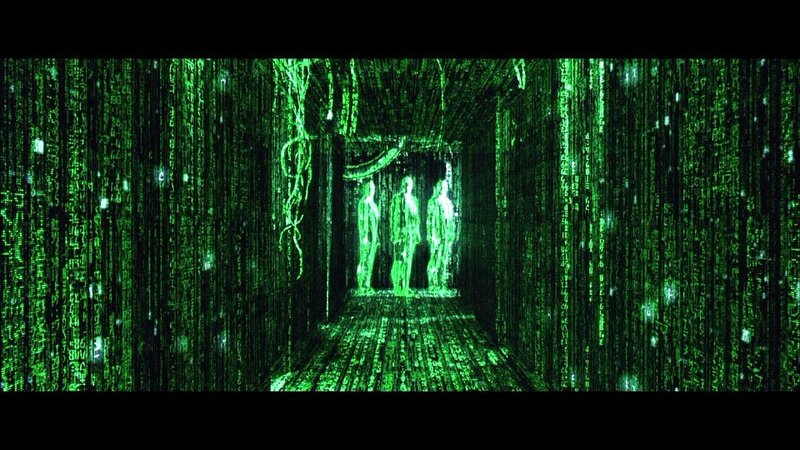 As I’ve noted elsewhere, the reality we experience seems to be a simulation constructed by our brain, comparable to the Matrix in the 1999 film by that name. Our brain is the “computer” running the simulation. It takes input from the environment through our senses and creates this rich perceptual world that we see, hear, taste, smell, and feel. 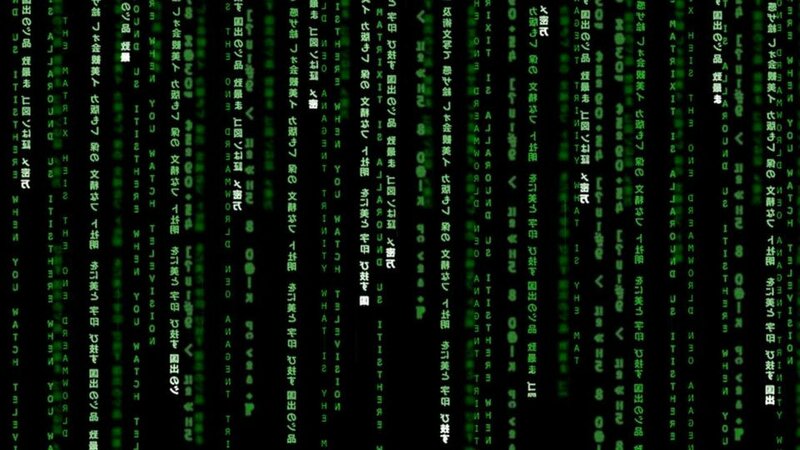 In this way, we are the creators of the world that we perceive and experience.20 Our simulated experience of reality seems to be nothing like objective reality.21 Most will recognize the similarities here to the Simulation Hypothesis, which proposes “that reality is in fact a simulation (most likely a computer simulation). Some versions rely on the development of a simulated reality, a proposed technology that would seem realistic enough to convince its inhabitants.”22 I believe that it is our brain that is this “technology.” We experience it in every waking moment of every day. How does this relate back to mysticism and altered states of consciousness? It seems that one way of better understanding the world and our place in it is to get below the surface level of this “simulated” subjective experience. Our mind actively shapes the reality that we experience. By changing our state of mind, we can change our perception or perspective of reality; we can see things in a different way.25 Through technologies and techniques that lead to altered states of consciousness, we may be able to penetrate below our superficial conventional understanding, and gain new insights into the nature of ourselves and of reality. Our minds use networks of neurons in order to structure the world that we perceive. One of the many ways altered states might cause their associated experiences is by changing the activity in these networks. For example, by subduing various networks in our brain, the conscious structures that those networks typically process and maintain may also be subdued, or even shut down entirely.26 If those networks are typically dominant in consciousness, this may result in other networks in the brain becoming dominant, and therefore other intuitions, structures, and unconscious material may come to the forefront in our consciousness, giving us a picture of reality far different than our usual perceptions. If several key networks in the brain become quiet, what is experienced subjectively? Might such deactivation of certain neural networks give us a clearer, less filtered, less conceptual, less structured, less judgmental, and therefore a more direct perception of reality as it is?27 It seems that something like this, as well as other processes such as hyperconnectivity between various brain networks, may be happening in mystical experiences. I don’t think Joseph was referring to seeking deep or extensive academic knowledge here, exceptional reasoning skills, or even great wisdom, as many have supposed, but rather to the expansion of consciousness itself. It is not necessarily the contents of consciousness that must stretch to such lofty heights and depths, but the mind itself, consciousness itself, through the refinement of our mental faculties and capacities. One need not get a doctorate degree in theology or divinity to commune with God. Even the most unlearned and illiterate may search out, find, and commune with God with their mind. Interpreting mystical experiences is exceedingly difficult, even by the persons who originally experience them (the ineffable quality), and this can often lead to subsequent confusion, and a thick accretion of commentary, teachings and more interpretations to try to understand them, until the experiences and their subsequent religions can diverge substantially from what the original experiences were actually like and the meaning they originally conveyed to the experient. So we often ask the question—what was the real nature of what happened in these epiphanies, and what impact does this have on us, and our understandings? I’ve begun to consider these questions in the origins of Mormonism. I believe we need to reconsider the fundamental nature of Joseph Smith’s First Vision. This event is central to Church history and its foundation in modern times, so it is important that we try to understand it accurately. Mormons believe that this experience was quite unique, even singular; not many in the history of the world, besides other specially chosen prophets, have had such experiences. I believe this is not accurate. Such divine mystical experiences seem to be much more common than we have recognized to date. I believe Joseph experienced a phenomenal mystical experience, in an altered state of consciousness. Joseph was a Prophet, Seer, Revelator, and Mystic, one of the greatest this world has known. Yet what’s more, we likely have many more prophets, seers, revelators, and mystics in our midst today.40 I believe there is considerable evidence for this, of which I’ll only be able to share a tiny fraction today. Before another thought could arise in my mind, in the midst of a great darkness and a great silence, the heavens opened above my head. In an instant, I was flooded with light from above, light of the utmost whiteness and splendor, that quickly dissolved everything in its glory. The bliss I had experienced prior to this new revelation now paled to insignificance in an immensity of light that was also the purest love. As the truth of the situation dawned on me, the word “FATHER” resounded in this heaven of light and I was taken up and absorbed by the unspeakable Godhead… there was union. And there are many many more accounts like these.46 What are we to make of this, and the countless other accounts like it, experiences triggered by diverse means?47 A few ideas come to my mind. 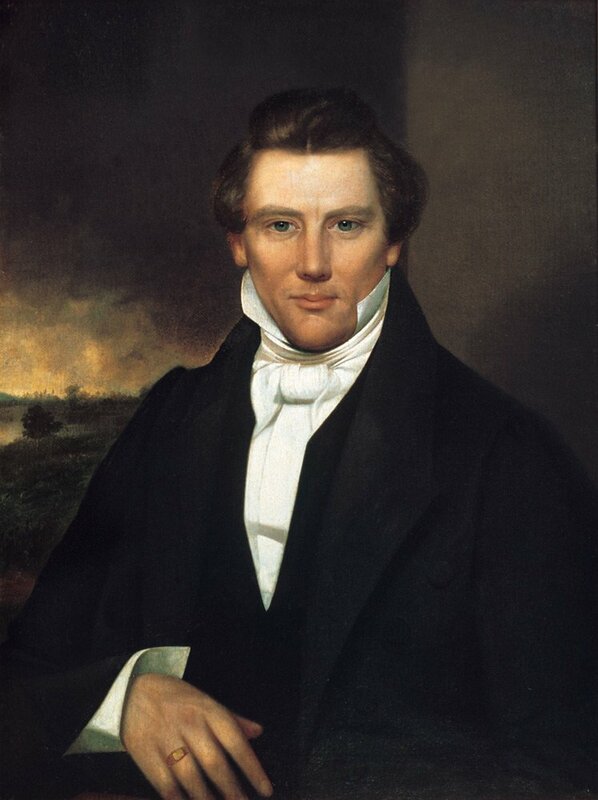 Perhaps these people have had real visions of God, just like Joseph Smith, and we need to reevaluate Joseph within a much larger group of prophets who have seen and communed with God;48 or, perhaps these people have been deceived, except Joseph, and so we reject their sincere life-changing experiences, just as many rejected Joseph’s; or, perhaps we need to reconsider the First Vision in the much broader context of mystical experience, altered states of consciousness, and their psychology. Of course, there may be a mix of these or other possibilities, but I do think we need to account for these analogous experiences somehow that is reasonable, meaningful, and compassionate. This new perspective opens up whole new ways of understanding the First Vision, his subsequent visions of Moroni, other revelatory and visionary experiences, and even his use of a seer stone in the translation of the Book of Mormon, similar to the one that I found.53 I call this seer stone Urim (pronounced oo-reem),54 for the “lights” or insights it can trigger in the mind. I’ve used it, and it works. I don’t think this is some kind of dark esoteric “occult”55 folk magic item as we might have thought, even co-opted for an authorized divine use. I believe it is a kind of meditation object, a focus of attention and concentration in meditation and provoking an altered state of consciousness, like many other modern meditation objects you might find today, such as a candle flame, reflective water in a dish or cup,56 a mirror,57 a crystal,58 a piece of wood, a dot, a mantra or syllable,59 a mala,60 a rosary,61 a wall,62 a picture, a flower, a mental thought or concept,63 or your own breath sensations.64 Meditation objects may help cause altered states of consciousness by significantly reducing sensory stimulation, as well as sharply focusing thought processes in the mind, which can physically and measurably change brain functioning such as blood flow and neural activity in different regions of the brain, which can open the mind to new insights, understanding, and what we call revelation. Four years ago at this MTA Conference, Don Bradley noted that recently LDS scholars have suggested the “psychological role of [the seer stones] helping Joseph Smith induce a state of trance, or high concentration.”65 These are altered state of consciousness. We pay too little attention to the value of meditation, a principle of devotion. In our worship there are two elements: One is spiritual communion arising from our own meditation; the other, instruction from others, particularly from those who have authority to guide and instruct us. Of the two, the more profitable introspectively is the meditation. Meditation is the language of the soul. It is defined as “a form of private devotion, or spiritual exercise, consisting in deep, continued reflection on some religious theme.” Meditation is a form of prayer. I believe that what we commonly understand as the veil may be what separates our conscious mind from our unconscious mind, or from expanded awareness of reality, and through deep contemplative techniques such as meditation we can knock on that door and pierce the veil and gain deep insights into ourselves, our lives, and even commune with God.67 Ultimately this may give us profound new insights into the nature of our humanity, spirituality, religion, and the world, including a new understanding of the meaning of atonement, the nature of God, and becoming one with God, even theosis. For God might not be found in the outermost reaches of the cosmos somewhere, but may be no further away than in our very own body. 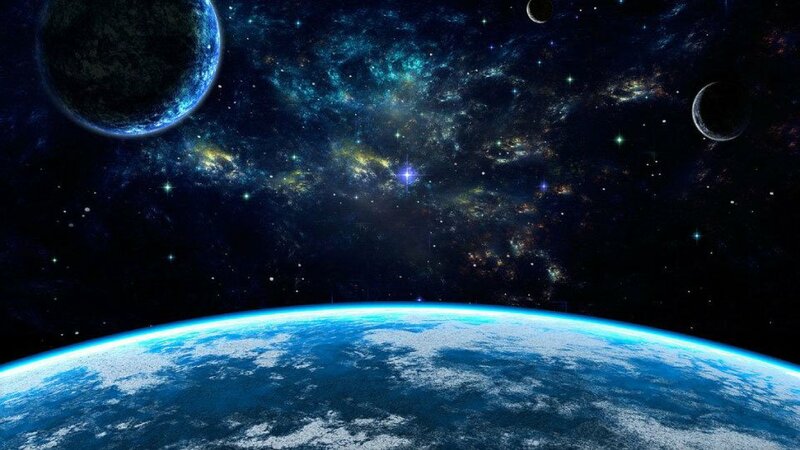 Coming to know God may not be to embark on trying to intellectually understand an independent posthuman superintelligence “out there,” but rather in realizing the divine intelligence that exists within our own minds even right now. Becoming like God may not necessarily come about by our evolving to some radical degree of inner or outer perfection over eons of time in an afterlife, but rather in our coming to the deepest, most humbling, and empowering recognition and understanding of what we already are, in this life. 1. Bryce M. Haymond, “Alethiology – How to Know the Truth.” TempleStudy.com. 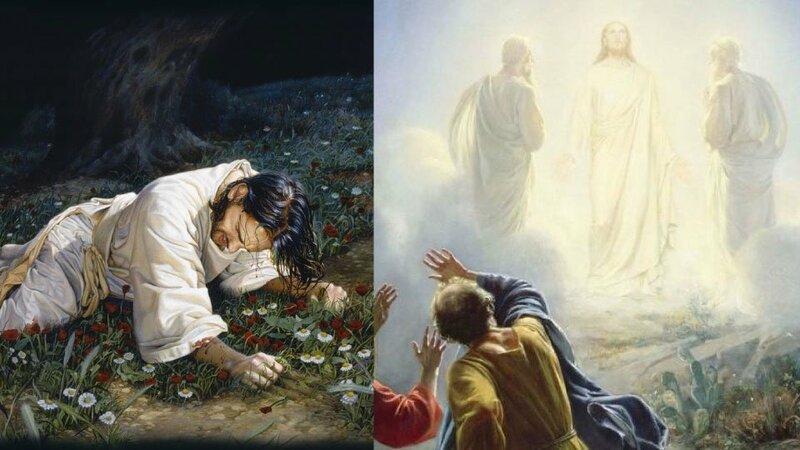 29 June 2012. http://www.templestudy.com/2012/06/29/alethiology-truth/. Emphasis in original. 2. Bryce M. Haymond, “On Mysticism, Transcendence, Meditation, Seers & Stones.” TempleStudy.com. 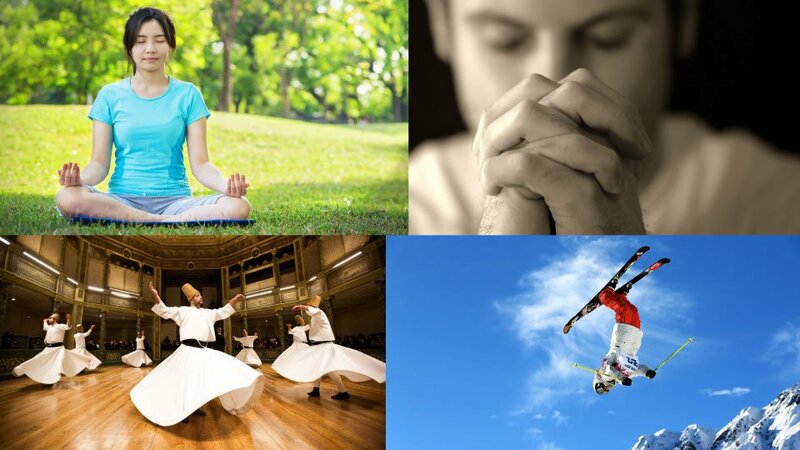 29 June 2013. http://www.templestudy.com/2013/06/29/mysticism-transcendence-meditation-seers-stones/. 3. The current working title is Thy Mind, O Man: The Mystical Core of Mormonism. As of 6 April 2017, the book is over 300 pages, with over 700 footnotes, with a couple more chapters to go before editing. 4. Mark Edward Koltko, “Mysticism and Mormonism: An LDS Perspective on Transcendence and Higher Consciousness.” Sunstone. April 1989. https://www.sunstonemagazine.com/pdf/070-13-19.pdf. 5. Kevin Christensen, “Book Review: Temple Mysticism: An Introduction, by Margaret Barker,” Interpreter: A Journal of Mormon Scripture, Volume 5 (2013), pp. 191-199. http://www.mormoninterpreter.com/book-review-temple-mysticism-an-introduction-by-margaret-barker/. 6. Hugh Nibley, “Prophets and Mystics,” The World and the Prophets. http://publications.maxwellinstitute.byu.edu/fullscreen/?pub=1103&index=13. It think it’s unfortunate that Nibley seemed to dismiss mysticism as anything that would be worthwhile to study or consider in more depth. I’m sure he could have made some very insightful contributions on the subject beyond this brief article. 7. Quoted in Kevin Christensen, “Book Review: Temple Mysticism: An Introduction, by Margaret Barker,” Interpreter: A Journal of Mormon Scripture, Volume 5 (2013), pp. 191-199. http://www.mormoninterpreter.com/book-review-temple-mysticism-an-introduction-by-margaret-barker/. Of course, Margaret Barker has said a lot more about mysticism in her many books, some specifically on the subject of mysticism. 9. I agree with Hamblin that the differences matter, but perhaps not in the way he thinks they do. We are, after all, all human, and there must be commonalities that exist among us as humans, particularly in our biology and our neurobiology, that makes our experiences similar across time and space. Recognizing that there may be a more transcendent truth to the mystics’ experiences I don’t believe devalues their contributions, but rather showcases the diverse ways that these ineffable mystical experiences may be interpreted and understood in a wide variety of cultures, languages, and times. 10. Ralph W. Hood, Jr., “The Construction and Preliminary Validation of a Measure of Reported Mystical Experience.” Journal for the Scientific Study of Religion 14 (1975), pp. 30-32. See also William James, The Varieties Of Religious Experience: A Study In Human Nature, 1902, and W. T. Stace, Mysticism and Philosophy, 1960. 11. Even so-called “alien abduction” experiences and other strange “paranormal” phenomena may be caused by these shifts in human consciousness. 12. “Stendhal Syndrome,” Wikipedia, accessed 17 March 2017, https://en.wikipedia.org/wiki/Stendhal_syndrome. 13. “God helmet,” Wikipedia, accessed 31 January 2017, https://en.wikipedia.org/wiki/God_helmet. 14. Jess Hill, “Finding God in a seizure: the link between temporal lobe epilepsy and mysticism,” ABC Radio National, 10 December 2014. http://www.abc.net.au/radionational/programs/encounter/the-link-between-temporal-lobe-epilepsy-and-mysticism/5956982. 15. David Bentley Hart, “Therapeutic Superstition,” First Things, November 2012. http://www.firstthings.com/article/2012/11/therapeutic-superstition. 16. 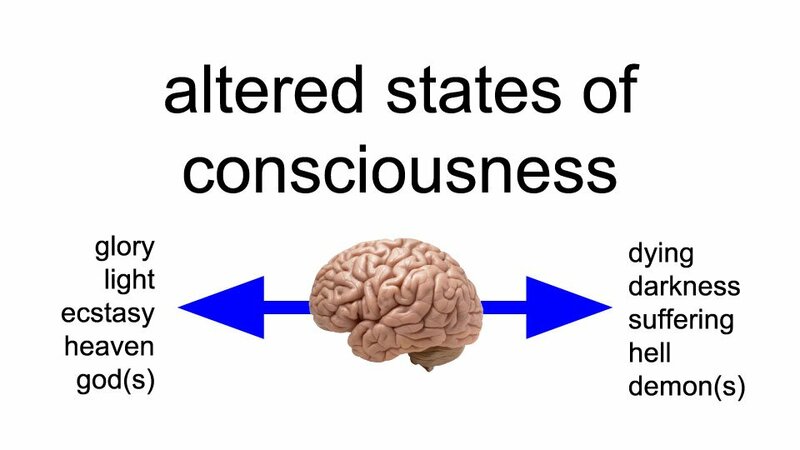 “Altered states of consciousness,” Wikipedia, accessed 31 January 2017, https://en.wikipedia.org/wiki/Altered_state_of_consciousness. 19. Susana Martinez-Conde and Stephen L. Macknik, “The Delusion of Alternative Facts,” Scientific American, 27 January 2017, emphasis in original, https://blogs.scientificamerican.com/illusion-chasers/the-delusion-of-alternative-facts/. 20. The LDS idea of participatory “creators” with the Creator may have application here. Our mind actively constructs our perceptual experience in every moment, taking into account a variety of inputs, including our sense organs, memories, life experiences, genetic factors, education, upbringing, environment, body biochemistry, etc. We cannot intentionally construct objects “out there” in our environment simply by thinking about them, but our minds do “passively” or unconsciously shape and construct how we perceive the objects that are there, and may even introduce elements into consciousness that do not seem to have any external source or cause. We are the creators of our subjective worlds and realities. 21. Bryce M. Haymond, Facebook post on MTA group, 28 January 2017, https://www.facebook.com/groups/transfigurism/permalink/10158208571875436/. 22. “Simulation hypothesis,” Wikipedia, accessed 31 January 2017. https://en.wikipedia.org/wiki/Simulation_hypothesis. 23. An example of this is the nature of color. Visible light of various wavelengths does not have any inherent colors embedded in it. It is only comprised of photons of varying energy levels, disturbances in the electromagnetic field that pervades every part of the universe. 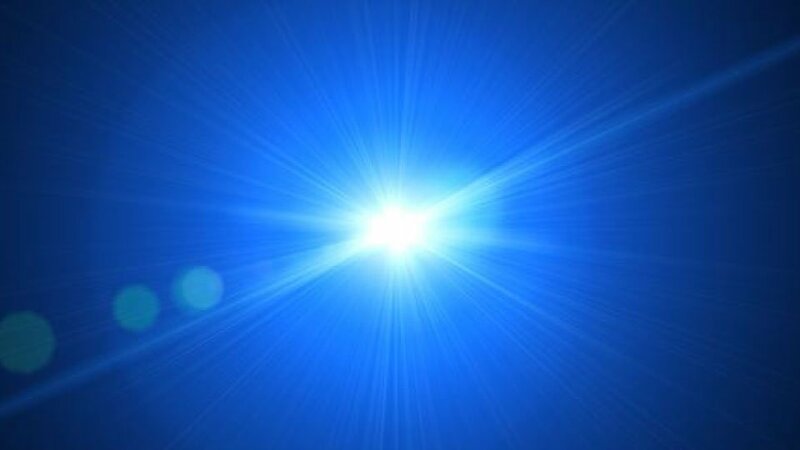 It is only when those photons of light stimulate the retina cells in our eyes, which causes a complex electrochemical reaction that proceeds to our brain, that these signals are processed and we perceive particular colors in our consciousness. The colors are wholly within us, with external correlates that are nothing like color. Our mind creates the qualia, the experience, of the colors that we see. They do not exist outside of us in the objects we perceive. The same goes for many of the other qualities that we perceive with our senses such as light, sound, odor, and taste. 24. Bryce M. Haymond, Facebook comment on MTA group, 30 January 2017, https://www.facebook.com/groups/transfigurism/permalink/10158208571875436/?comment_id=10158218444640436&reply_comment_id=10158218526095436&comment_tracking=%7B%22tn%22%3A%22R2%22%7D. We seem to think, “what could there possibly be that is more fundamental than my perceptual experience? I may be wrong about a lot of things, but that red tomato is sitting right there.” But when we begin to explore what we mean by a “red tomato sitting right there,” we soon find that almost everything associated with those words are constructs of one kind or another within our minds, and don’t have an objective existence independent of us. 25. This applies to far more than just gaining a clearer perception of reality. For example, those who suffer from depression seem to be experiencing a state of mind which makes the world appear to them in that moment to be worthless and futile. It’s not that the world is actually that way, but rather it is how they are currently perceiving it to be in their mind, which they take to be absolutely real and true. Therapies for depression usually try to change the person’s state of mind, thereby changing their perception of reality. 26. See Jill Bolte Taylor, My Stroke of Insight: A Brain Scientist’s Personal Journey, Penguin Books: 2009. 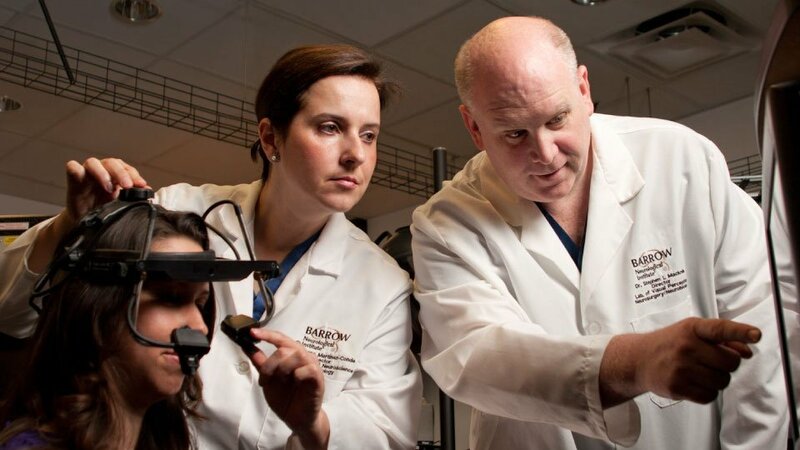 Taylor, a neuroanatomist, experienced a stroke in the left hemisphere of her brain, inactivating it, which seems to have made the right hemisphere dominant temporarily, resulting in a profound mystical experience of the world, her life, and the divine. 27. The brain acting as a “filter” of reality has been discussed widely by a number of philosophers, neuroscientists, and others. If one reduces the filter, an expanded reality may become more readily apparent. 28. It is interesting that the word psyche, although usually considered synonymous with the mind, is defined as “the human soul, mind, or spirit,” from the Greek psukhē meaning “breath, life, or soul.” Google definitions accessed 6 April 2017. https://www.google.com/webhp?sourceid=chrome-instant&ion=1&espv=2&ie=UTF-8#q=psyche+define&*. 29. “Letter to the Church and Edward Partridge, 20 March 1839,” p. 12, The Joseph Smith Papers, accessed April 6, 2017, http://www.josephsmithpapers.org/paper-summary/letter-to-the-church-and-edward-partridge-20-march-1839/12. Original punctuation, spelling, and grammar. Dictated by Joseph Smith, with scribes Alexander McRae and Caleb Baldwin. 30. Kung, Hans, Josef Ess, Heinrich von Stietencron, and Heinz Bechert, Christianity and the World Religions: Paths to Dialogue with Islam, Hinduism and Buddhism. Garden City, NT: Doubleday, 1986, 168. Ken Wilber, among others, has described this approach as psychologia perennis, or “perennial psychology.” Ken Wilber, “Psychologia Perennis: The Spectrum of Consciousness,” Journal of Transpersonal Psychology, Vol 7(2), 1975, 105-132. 33. “Temptation of Christ,” Wikipedia. https://en.wikipedia.org/wiki/Temptation_of_Christ. 34. “First Vision,” Wikipedia. https://en.wikipedia.org/wiki/First_Vision. 35. “John Calvin,” Wikipedia. https://en.wikipedia.org/wiki/John_Calvin#Early_life_.281509.E2.80.931535.29. 36. “John Wesley,” Wikipedia. https://en.wikipedia.org/wiki/John_Wesley#Wesley.27s_Aldersgate_Experience:_A_Major_Development. 37. Frederick William Evans. 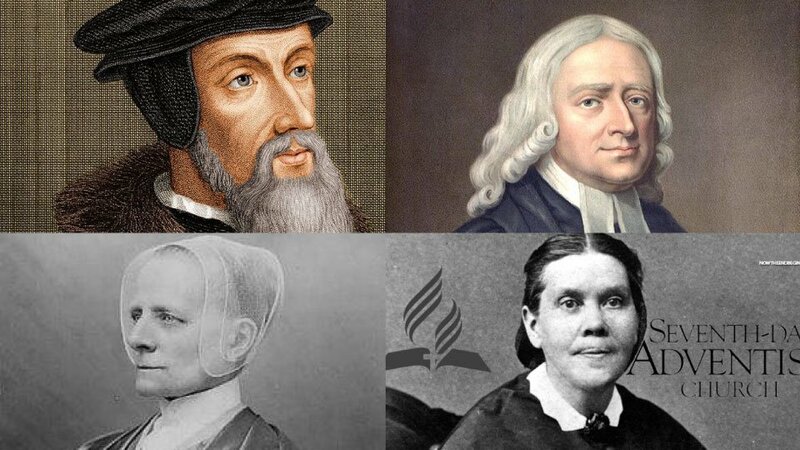 Shakers: Compendium of the Origin, History, Principles, Rules and Regulations, Government, and Doctrines of the United Society of Believers in Christ’s Second Appearing : with Biographies of Ann Lee, William Lee, Jas. Whittaker, J. Hocknell, J. Meacham, and Lucy Wright. Appleton; 1859. pp. 17-22. 38. Ellen G. White, “My First Vision,” in Early Writings. See online here: http://www.ellenwhite.info/books/ellen-g-white-book-early-writings-ew-02.htm. 39. 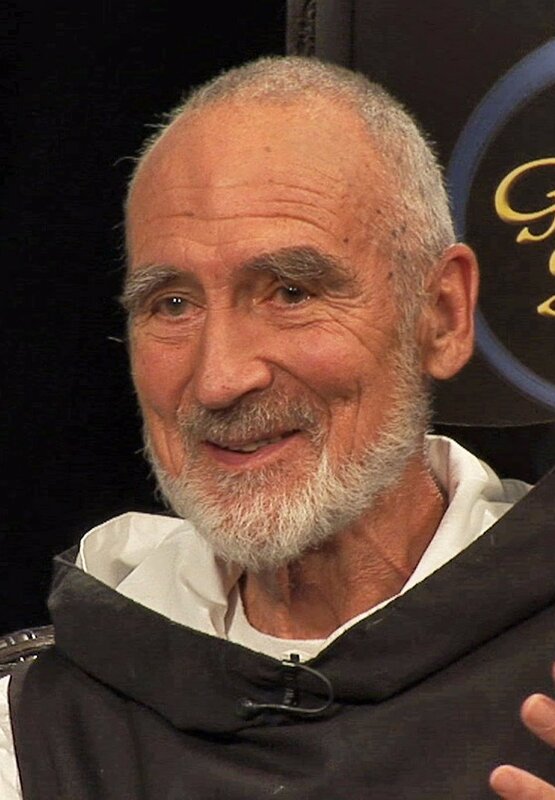 David Steindl-Rast, Link TV, Lunch With Bokara, The Monk and the Rabbi, 2005 episode. See also Steindl-Rast, “The Mystical Core of Organized Religion,” ReVision, Summer 1989 12(1):11-14. Accessed online at http://www.csp.org/experience/docs/steindl-mystical.html. I derived the title of my paper from this article. 40. See Numbers 11:29; Acts 2:17; Joel 2:28. 42. Such experiences of light seem to have become so commonly recognized that they are often referred to in popular culture. Recently I attended Alton Brown’s live show “Eat Your Science” in Salt Lake City, wherein Brown played a “food god,” and repeatedly gestured to a single white spotlight overhead, together with a heavenly choir sound clip, to frame his “divine” qualities. The actor Morgan Freeman also noted recently in an episode of “The Story of God” that he hosted on the National Geographic channel that he had experienced this light himself while fainting. 43. I’m not sure why I didn’t seem to come across these accounts in the past. Perhaps I did, but I was blind in recognizing what they were. Perhaps I thought that Joseph’s experience was the paragon of such experiences, and so I shrugged off all others either consciously or unconsciously. 44. Clark Heinrich, “Heaven and Hell,” in Seeking the Sacred with Psychoactive Substances, J. Harold Ellens, ed., 295. Heinrich ate the toxic, perhaps poisonous, mushroom known as the fly agaric, or Amanita muscaria, which is iconic in popular culture because of its diverse and lengthy history. Some historians believe that this mushroom may be the divine Soma referred to in the ancient Rig Veda sacred texts of India. See https://en.wikipedia.org/wiki/Amanita_muscaria. The main psychoactive compound in this fungus is muscimol, “a potent, selective agonist for the GABA receptors and displays sedative-hypnotic and dissociative psychoactivity” (https://en.wikipedia.org/wiki/Muscimol). 45. Ann Purcell, The Transcendental Meditation Technique and the Journey of Enlightenment, Green Dragon Books: 2015. There are several more similar accounts with light noted in this book. http://amzn.to/2oubRY5. 46. I have considered publishing a separate volume of my compilation of these personal modern-day accounts of the bright white light, perhaps titled First Visions. I believe these powerful first-hand accounts encompass some of the most significant evidence for my thesis, and they seem too many to include in an appendix. 47. I do not think Joseph Smith ingested psychoactive mushrooms, as suggested by some others (see, for example, Robert T. Beckstead, “Restoration and the Sacred Mushroom,” Sunstone Symposium, August 2007, https://www.sunstonemagazine.com/the-restoration-and-the-sacred-mushroom-did-joseph-smith-use-psychedelics-to-facilitate-his-visionary-experiences/). But I do believe Joseph experienced an altered state of consciousness similar to those that can be triggered by psychoactive substances. As already noted, there are many things that can induce these changes in mind states because the brain is like any other biological system, susceptible to influences from many sources. Determining exactly what triggered Joseph’s altered state of consciousness is likely not possible, but it could be related to the extreme psychological distress and anxiety that it seems he was feeling at the time, even anguish for the “welfare of [his] immortal soul” (“History, circa Summer 1832,” p. 2, The Joseph Smith Papers, accessed March 29, 2017, http://www.josephsmithpapers.org/paper-summary/history-circa-summer-1832/2). 48. We may need to reconsider our traditional definitions and descriptions of the term prophet. 49. This is not to negate what he experienced, for I believe his experience was a real experience, just one of a different nature than we have considered to date. He may have been perceiving reality more clearly, God being present in a higher dimension of perceptual reality than the one we normally operate in. 50. The structure of this phrase is borrowed from the cognitive scientist Donald Hoffman, who has used it often in describing the nature of perceptual experience. Just because we should take some things seriously does not mean we should take them literally. That is, as Hoffman says, a “logical fallacy.” I believe Joseph constructed a “myth” to help explain his ineffable experiences of the divine, a narrative that was as accurate as he could understand and describe, but it was not reality itself. I believe we need to demythologize the First Vision, “break the myth,” and perhaps many other similar literal elements in Mormonism if we are to make more sense of them in today’s world. 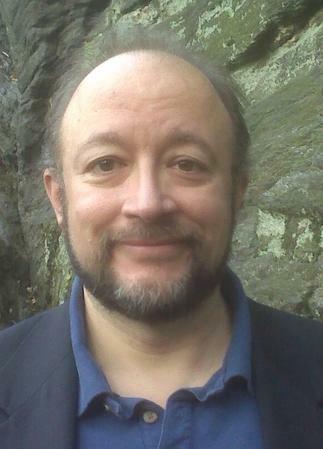 See Carl Youngblood, “Demythologizing Mormonism,” 2013 MTA Conference, https://docs.google.com/document/d/1od2Jnwq86SLh8QJfz75h40pyyOvkvS4fKNRUdGkYfzk/edit. 51. In one firsthand account Joseph seems to have suggested that his experience may have been a psychological event, and may have not taken place physically in the grove, but this understanding did not become the dominant narrative in the Church. 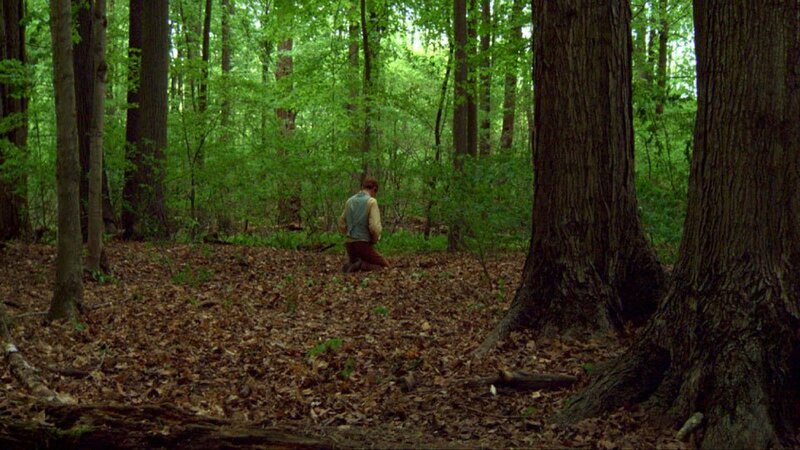 In his 1842 account Joseph notes “…my mind was taken away from the objects with which I was surrounded, and I was enwrapped in a heavenly vision…” (““Church History,” 1 March 1842,” p. 706, The Joseph Smith Papers, accessed April 6, 2017, http://www.josephsmithpapers.org/paper-summary/church-history-1-march-1842/1). Other secondhand accounts corroborate this account. 52. We often misinterpret our perceptions, even on a daily basis, as can be readily demonstrated with optical illusions and other cognitive-perceptual-psychological experiments. Why do we seem to think Joseph did not misinterpret his perceptual experiences? We don’t even seem to know the true nature of a red tomato in our visual perception, let alone such awesome events as mystical experiences. 53. I found my seer stone online in Jaipur, India (apropos? ), and had it shipped to me. No well-digging required. It was deeply meaningful to me when I first saw it because it has a close resemblance to the seer stone that Joseph Smith used to translate the Book of Mormon, of which the Church recently published photographs (see http://www.josephsmithpapers.org/topic/seer-stone). Mine is almost the same size, about 3.5 x 5.5cm (as of 6 April 2017, the “3.5 x 4cm” dimensions noted on the Joseph Smith Papers website in the “Note on the Seer Stone Images” appears to be incorrect, considering the metric tape measure shown in the photos alongside the seer stone). I also commissioned the hand making of a similar brown leather pouch to store my seer stone. 54. Strong’s Lexicon, H224, ‘Uwriym, https://www.blueletterbible.org/lang/lexicon/lexicon.cfm?Strongs=H224&t=KJV. 55. The word occult ironically has a very vague meaning, and is “extraordinarily difficult to define” according to LDS scholar Daniel C. Peterson (“Two Thoughts on the Seer Stone,” Sic et Non, 11 August 2015, Patheos, http://www.patheos.com/blogs/danpeterson/2015/08/two-thoughts-on-the-seer-stone.html). Many definitions would probably be agreeable to most Mormons, such as “knowledge of the hidden,” or knowledge that “is meant only for certain people” or that “must be kept hidden.” LDS temple practices would clearly fall into this category. Wikipedia continues, “for most practicing occultists it is simply the study of a deeper spiritual reality that extends beyond pure reason and the physical sciences” (“Occult,” Wikipedia, https://en.wikipedia.org/wiki/Occult). 56. The ancient patriarch and prophet Joseph is believed to have used a special cup for divination (Genesis 44:2, 5, 12, 15-16). It is also legend that Nostradamus may have used flame gazing or water gazing that inspired his prophecies (https://en.wikipedia.org/wiki/Nostradamus#Origins_of_The_Prophecies). 57. Catoptromancy, or scrying by the use of a mirror, is recognizable in popular culture references. The queen’s mirror in Snow White and the Seven Dwarfs is an example, famous for the “Mirror, Mirror on the wall” divination by the queen. 58. Also known as crystal-gazing, crystal-seeing, crystallism, crystallomancy, gastromancy, and spheromancy. See https://en.wikipedia.org/wiki/Crystal_gazing. 59. The repetition of mantras, or simple syllable words, is popular in some forms of meditation, such as Transcendental Meditation (TM). 60. “Buddhist prayer beads,” Wikipedia, https://en.wikipedia.org/wiki/Buddhist_prayer_beads. 62. In the Soto school of Zen Buddhism, zazen meditation often takes place facing the wall. https://en.wikipedia.org/wiki/Zazen#Types_of_zazen. 63. Deep, continued reflection on a religious theme is a method of meditation mentioned by President David O. McKay, in the quote later referenced in this paper. 64. Focusing on one’s breath is one of the most popular and most ancient meditation objects practiced today in what is often called “mindfulness meditation,” also known as insight meditation, or vipassana. This is the meditation object and technique that I’m most familiar with. 65. Don Bradley, “Joseph Smith and the Technologies of Seership,” 2013 Mormon Transhumanist Association Conference. https://www.youtube.com/watch?v=NQ4Nm9F-u64. 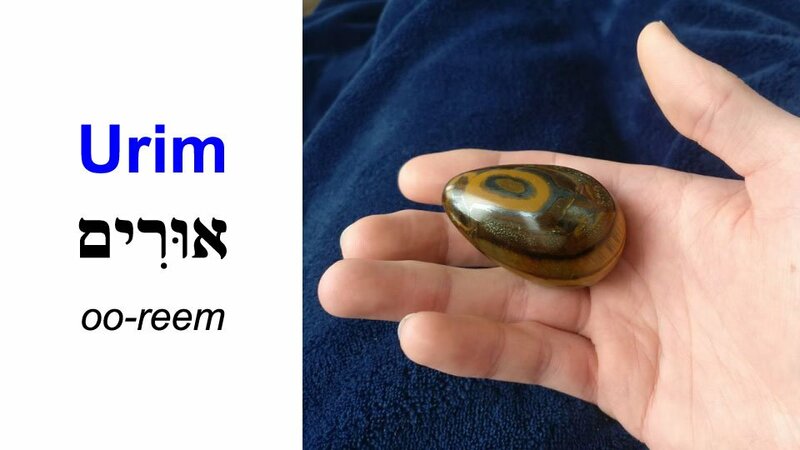 I explore Joseph’s use of seer stones and the translation of the Book of Mormon in my book. For some of my thoughts on the process see my comments on Stan Spencer, “Seers and Stones: The Translation of the Book of Mormon as Divine Visions of an Old-Time Seer,” Interpreter: A Journal of Mormon Scripture, Volume 24 (2017), 27-98, http://www.mormoninterpreter.com/seers-and-stones-the-translation-of-the-book-of-mormon-as-divine-visions-of-an-old-time-seer/. 66. 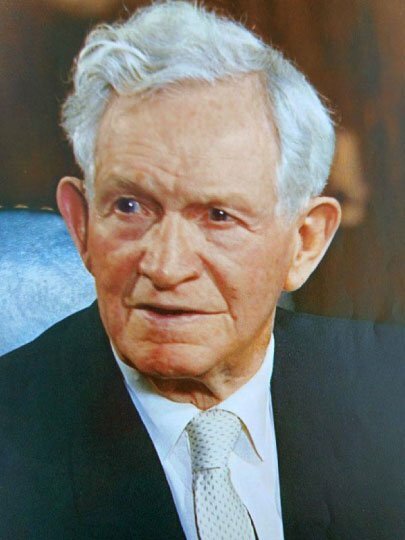 Teachings of Presidents of the Church: David O. McKay, 2011, 29–37. Emphasis added. https://www.lds.org/manual/teachings-david-o-mckay/chapter-4?lang=eng. It is curious, if introspective meditation is more profitable in our worship than instruction from those in authority, why do we not spend more time teaching and helping each other to meditate? If we can enter “the presence of the Lord” through meditation, would the latter-day saints not be interested to know how that is done, even in the temple of our mind? 67. Few people seem to realize that they even have an unconscious part of their mind. Most of us seem to think that our conscious mind is all there is going on inside. But actually our brain seems to be churning in gargantuan amounts of activity and information, many orders of magnitude above the rates of conscious processing, and beyond our conscious knowledge and awareness. See David Eagleman, The Brain: The Story of You, Vintage: 2017. See also Derek Muller, “The Science of Thinking,” Veritasium, YouTube, https://www.youtube.com/watch?v=UBVV8pch1dM. See also “What It’s Like Inside Our Minds,” The School of Life, YouTube, https://www.youtube.com/watch?v=bEFOF7j7XU0. 68. Ps 82:6; John 10:34; D&C 76:58; compare Gen. 1:26 (Moses 2:26); Genesis 3:22 (Moses 4:28); Lev. 19:2 (1 Pet. 1:16); Ps. 8:5; Ps. 8:6; Matt. 5:48 (3 Ne. 12:48); Luke 24:39; Acts 17:29; Romans 8:17; 2 Cor. 3:18; Gal. 4:7; Eph. 4:13; Heb. 12:9; 1 Jn. 3:2; Rev. 3:21; 2 Ne. 2:25; 3 Ne. 9:17; 3 Ne. 27:27; 3 Ne. 28:10; D&C 14:7; D&C 88:29; D&C 88:107; D&C 93:20; D&C 93:29; D&C 121:32; D&C 129:3; D&C 130:1; D&C 130:22; D&C 131:2; D&C 132:20; D&C 133:57; Moses 1:39; JS-H 1:17; 2 Tim. 2:10-12; 1 Ne. 11:11; D&C 50:24. 69. Joseph Smith, Jr., “The King Follet Sermon,” Ensign, April 1971. https://www.lds.org/ensign/1971/04/the-king-follett-sermon?lang=eng. 70. John 17:3. LDS scholar and apologist Daniel C. Peterson has pointed this out: “Eternal life is not to know about the Father and the Son, but to know them… Plainly, this isn’t mere book learning. It’s experiential.” Daniel C. Peterson, “Making Visible the Beauty and Goodness of the Gospel,” Interpreter: A Journal of Mormon Scripture, Volume 17 (2016), vii-xxii. http://www.mormoninterpreter.com/making-visible-the-beauty-and-goodness-of-the-gospel/. 71. During Joseph’s First Vision he said he was told by God that the religions “were all wrong” and that “their creeds were an abomination in his sight; that those professors were all corrupt; that: ‘they draw near to me with their lips, but their hearts are far from me, they teach for doctrines the commandments of men, having a form of godliness, but they deny the power thereof’” (JS-H 1:19; cf. Isa. 29:13; Ezek. 33:31; 2. Tim. 3:5). Today, we talk a lot about God, but have our hearts [i.e. minds] receded far from the divine? Do we have a form of godliness in our outer performances, celebrations, and ordinances, but deny the power, the presence of God deep within us? What if we were to bring our hearts and minds back closer to God, so that we could commune directly with God? It seems that Joseph longed for us to do this in his “Thy Mind, O Man” teaching, and elsewhere. 72. Atonement (or at-one-ment), also known as theosis or divinization, becoming one with God, is, after all, our ultimate concern and goal. As Jesus taught, that we may all be one (John 17:11, 21-23). I give you this as a free gift. I give all of my work here away freely, and it is my full-time calling. If you enjoyed this content or were inspired by it, I invite you to also give, to participate in this gift economy living in "the Gift", to support me, my family, and this work. Please consider giving by debit/credit card by entering an amount and clicking the blue button below. It takes less than a minute. Or please consider making a recurring monthly gift, to participate in an ongoing way in this community. If you would like to give in another way, please reach out to me. Many thanks for your very kind generosity and the gift which makes this all possible! May you have peace and every good. Pingback: Groundhog Day’s “I’m a god” – Thy Mind, O Man! Pingback: Lawrence Krauss on the Nature of Reality – Thy Mind, O Man! Thanks for posting this here. It was good to review it now, and I’m sure I’ll be back to review it again. Lots of terrific sources and insights. Thanks Jon! I appreciate it. It was great to meet you, by the way. 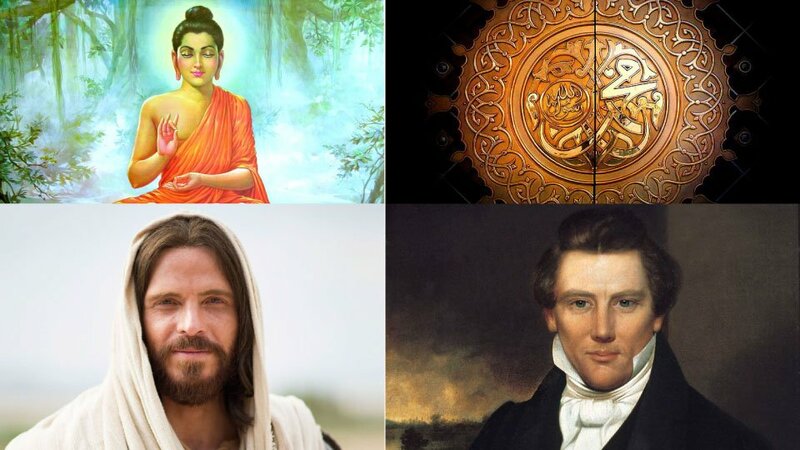 Pingback: Video Presentation: “The Mystical Core of Mormonism: A Very Brief Introduction” – Thy Mind, O Man! The same can be said for Jewish Kabbalistic or Christian Gnostic beliefs. They were developed and practiced in lieu of the true Rites of the priesthood. And so it is today, IMO. My sense is that without the Holy Order of the priesthood one can only actuate a form of godliness that may, indeed, have some edifying power, but will only be a faint imitation of the true heavenly gift. Thank you for your comment, Jack. I appreciate hearing your thoughts on the subject. But I must disagree. Having personally practiced mysticism (through meditation) for several years, I can positively say that there is a infinite power beyond egoic comprehension in it. It is no mere imitation of the real thing. It is very much the real thing. There is more godliness in it than I have ever encountered before in my life. It is, as President McKay said, one of the most secret and most sacred doors through which we pass into the presence of the Lord. I know that. And the only way to know it is through direct personal experience. At least that has been my personal experience. But I thank you again for providing your perspective. Truman Madsen discusses the difference between mysticism and Revelation. Mormonism does not have a mystical foundation, but a revelatory foundation. A mystical experience is for the individual. A revelatory experience is an ineffable experience. While a revelatory experience must be definable, describable and communicable. It must be shareable. It must be reproducable by following similar principles. The same is not true of a mystical experience, in my experience. Consider Lehi and Nephi seeing the same thing. Consider Joseph Smith and Sydney Rigdon seeing the same thing and reporting on it, describing it to those present. The foundation of the LDS church is revelatory. Mysticism can be godly, but not of necessity. Revelation by nature is of divine origin. I think they are quite different. Hi Rand. Thanks for your comment. I’d like to read the discussion you note from Truman Madsen. Do you have the reference? 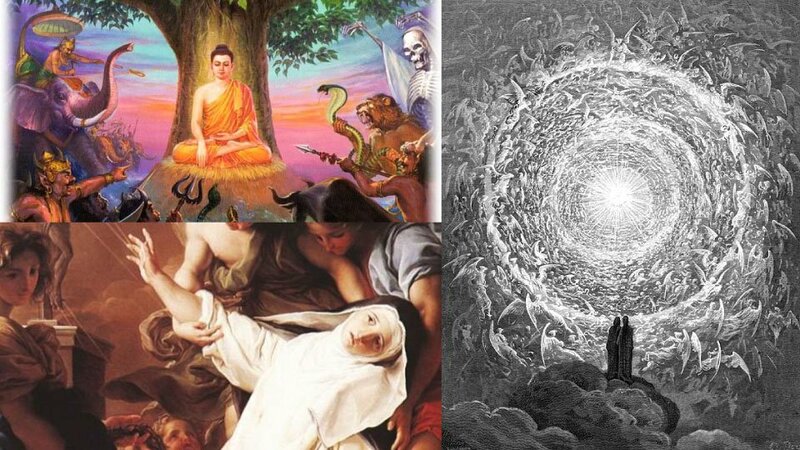 It seems to me that mysticism and revelation are two aspects of the same experience. The prophet, seer, revelator, mystic, monk, saint, nun, or seeker will seek direct communion with God through various means and then God will be revealed to them (the mystical part), and then there will be a host of insights, realizations, recognitions, understandings, and revelations imparted to the individual’s consciousness (the revelatory part). The person that receives the communion will then often try to interpret their experience and new found knowledge and share it with others. This is often very difficult, because the experience is ineffable, and so the visionary often resorts to poetry, metaphor, figurative language, past experience, and cultural understanding, to convey the revelations received. Their various accounts will often differ from one another, and be dynamic, as the visionary attempts to shape the experience into symbolic language that others will understand, although language will always fall far short in perfectly describing the experience. Often people can experience mystical experiences together, in a kind of shared divine communion. They become linked together as it were, one in heart and mind, and often describe seeing similar things in their vision, in their expanded awareness, and receiving similar insights and revelatory information, particularly if they are speaking to one another throughout the experience. I think Mormonism very much has a mystical/revelatory foundation, but we have traditionally not seen it as such. I think there is much value in studying it from this perspective. Mysticism is often defined as direct communion or union with the divine, or God. It seems that Joseph was very much engaged in this kind of activity. Thanks again for sharing your perspective. Very interesting indeed. I think a lot of people will find the nomenclature (and the subject) somewhat off-putting because it’s not in line with traditional church jargon, but I welcome your perspective and agree with most of your thoughts on the matter. Paul, Moses, and Nephi’s experiences being “caught up” to a high mountain (or higher spiritual state) was similar to what I believe Joseph experienced with the First Vision. He finally came to on his back, and had lost a sense of time. As Paul described it, he wasn’t sure whether it was in or out of the body. 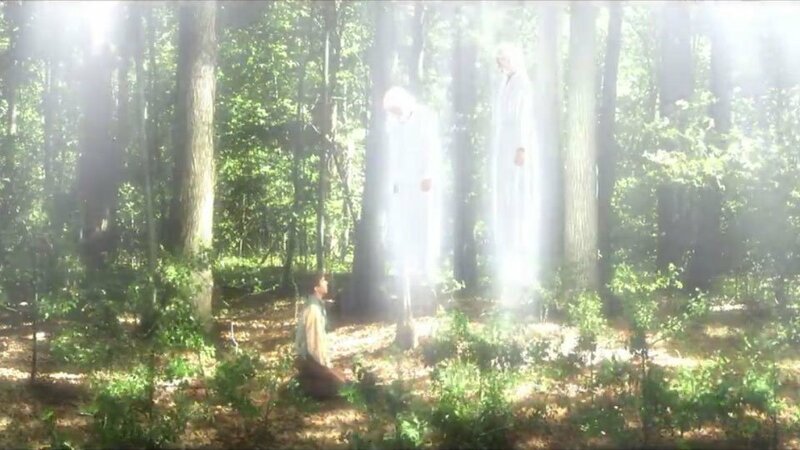 My belief is that in these cases their spirits actually left their physical bodies for a time to be able to more fully comprehend and commune with the Lord. This leads to more questions about the particulars of transfiguration. Though I believe we can each personally tap into that power to elevate the consciousness without necessarily being transfigured. Thanks Patrick. Great thoughts. I think perhaps when people feel as if their spirit has left their body, this may also be an effect of activity in the brain and mind. There are processes in our brain that structure our perception of our bodily selves, our body positions and boundaries (related to proprioception). If the activity in these areas of the brain go offline or are disrupted, then one might feel as if they are no longer embodied. The mind no longer places itself in a particular space associated with the physical body. Pingback: God’s Mystical Greeting in Joseph Smith’s First Vision – Thy Mind, O Man! Bryce, I appreciate your work here. I’d like to point out that kensho–Zen insight–is not an altered state of consciousness; rather, it is seeing things as they really are, without all of our preconceptions and judgments and mental constructs getting in the way. From the Zen point of view, all of those things are the altered states of consciousness, and they get in the way of seeing our true nature, which is original consciousness. Thanks for sharing your thoughts. I think we might be looking at the same thing from two different vantage points. From our common conscious state, kensho is altered. From the kensho state, our common consciousness is altered. Thank you again, Jack, for sharing your views and adding to this conversation. Yes, from our usual way of thinking, kensho would be an altered state of consciousness. From the Zen way of thinking, kensho would be our ordinary consciousness. It doesn’t really matter what we call it. It seems that all of the spiritual or mystical experiences that people have are very personal and we should be cautious in sharing them because they can be misinterpreted so easily. I know what I know and believe what I believe because of these holy experiences. The Brethren have encouraged us to seek out these things so that they can be efficacious in our lives, if we seek them with pure intent. 🙂 No, you don’t need a stone if you don’t want one. But I do think it helps to understand how the stone may have “worked” for Joseph. Yes, we should treat spiritual experiences with care.